Iron Sky has one of those nutty premises I absolutely love. The story is that Nazis landed on the moon 70 years ago and have been biding their time to launch an invasion. They decide they’ve been waiting long enough, take to their fleet of flying saucers, and begin a full scale attack of Earth. Not wacky enough? There’s also a Sarah Palin parody as the U.S. President, and the film takes place six years from now. Also, the movie co-stars Udo Kier. But in the end: moon Nazis. Hit the jump to check out the trailer along with a press release about the film’s upcoming premiere at the Berlin Film Festival. Iron Sky is set to hit theaters on April 4th. Hat tip to Brad for giving me a heads-up on this movie before the official trailer was released. The Fenno-Austro-German Iron Sky, a dark scifi comedy about the invasion of Nazis from the Dark Side of the Moon, celebrates its upcoming premiere at Berlin International Film Festival by releasing the very official theatrical trailer, showcasing what the dark horse of the Berlinale has to offer. The trailer establishes that the Nazis in exile have been watching Earth for 70 years, constructing a huge fleet of flying saucers. When the Nazis decide that they have bided their time long enough and launch a full scale assault against the Earth, they find that Earth is the easy prey they sought to conquer. The massive top notch visuals alone speak volumes about the uniqueness of the movie. Iron Sky‘s fan base has been steadily growing since the production started in 2006. The movie’s Facebook page alone has 100,000 fans, with millions of views on all three teasers, and unparalleled amounts of international attention. The production is in fact coproduced by the community – the fans have brought almost million dollars to the production budget through fan investments and funding. Six years in the making, the 7.5 million euro production will have it’s world premiere at Berlin international Film Festival as part of the Panorama special selection. The tickets were sold out in an hour, overshadowing both Werner Herzog and Angelina Jolie’s newest productions. 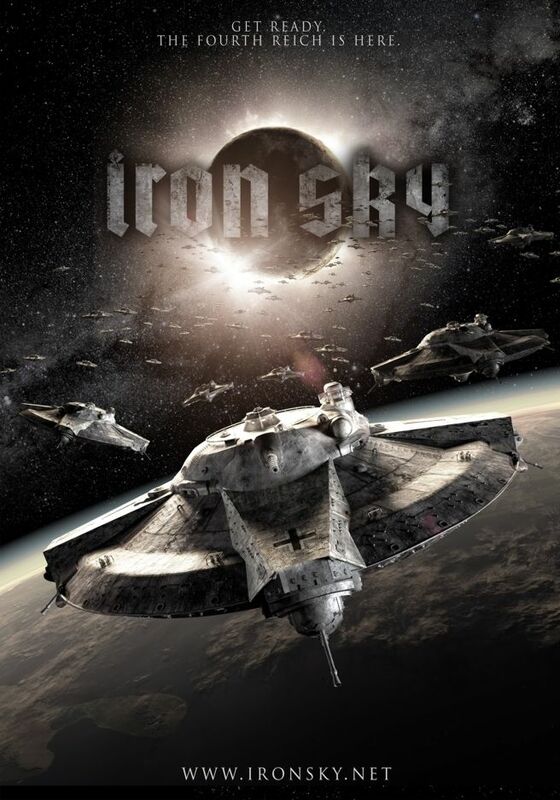 The theatrical release date for Iron Sky is April 4th 2012, and it has been sold to over 30 territories worldwide.